How can one little piece of relatively inexpensive software be such a challenge? Of the multitude of solutions I deal with, none in recent history has caused as many inquisitive looks as this $999 piece of software. Why? Naming. 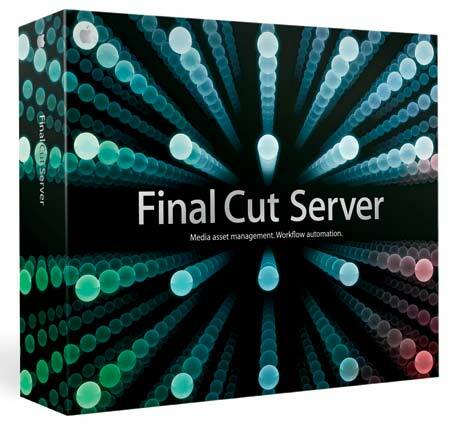 Although it has fantastic functionality with Final Cut Pro, it is not limited to use with Final Cut Pro. This misnomer of being a Final Cut only solution is incorrect and misleading. Shock and Awe factor. When a user launches Motion, plays with an iPhone, or opens Photobooth, the user experiences instantaneous fun and graphics. FCServer is a management accessory and doesn’t have the sheen so many Apple enthusiasts are accustomed too. Function over Form, to the nth degree. Imagine being given a crate of nuts and bolts and being told to build something, not knowing what is what or how it went together. FCServer, on it’s own, is daunting like that. It’s hard to get a grasp on the product and it’s functionality as a whole. Once you can get past that, FCServer can do some really interesting things. At it’s core, FSCerver is an Asset Management System. Elaboration: any file deposited into FCServers database can be tracked and indexed. Versions, attachments, moves, copies, and user check in / check out. This means searchable databases of file names and metadata, as well as preview of most media files from anywhere. This is much better than calling your assistant editor up and asking where file “test_file_1.mov” is…or just what the hell it IS. Or worse yet, when the client paying several hundred dollars an hour is behind you asking for a rev of a graphic you did 3 weeks ago. When it comes to Final Cut Pro, that’s where the increased functionality really shines. 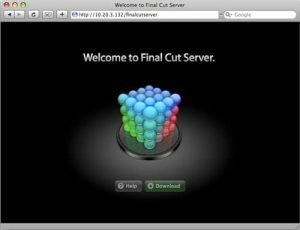 All of the data contained within a Final Cut Pro project can be parsed by Final Cut Server and utilized. By simply dragging and dropping your FCP project into FCServer, the project (timeline, media, bins) are indexed and processed by FCServer. This means a user can view all media contained within that project. Mark clips, ins and out, annotate, comment on, and add multitudes of metadata. Fantastic for producers and others who cannot be in the edit room during editorial. Or viewing graphics without relying on FTP or email. Like FCPro, Compressor is the backend, and many of the chores FCServer performs rely on compressing. For remote viewing and commentary, FCServer can encode all indexed media (again, from simply adding the FCP Project to the database) and create low res proxies for easy viewing over the web. In addition, FCServer keeps the links to the high res media, allowing remote personnel the ability to “check out” the project, edit with the low res proxies on their system, and upload the project file back to FCServer – and it reconnects with the high res proxies. No more shipping Hard Drives with media or emailing XML files back and forth and bloating your project size. True collaboration. The Compressor backend also increases it’s functionality by adding what FCServer calls “Subscriptions”. For example, this can be a change in a Watch Folder (media dropped into a folder is then automatically encoded or file relocation actions can be executed), Metadata (do action “xyz” when the metadata in a clip changes). This allows for backend processes to be completed sans user intervention and automating what used to be a many click and drag operation. Any good tracking software relies on more than just a filename. 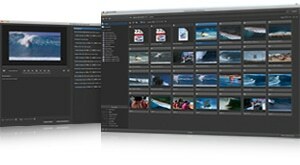 Metadata makes the tapeless workflow world go ’round. FCServer is no different. Every bit of data is not only indexed and tracked, but also has the ability to have new data associated with it. Maybe the client name. Maybe the editor. Maybe the edit bay. Maybe the billing code. Maybe what beer the producer likes. All of these fields can be customized, added, or removed by the admin. Custom Metadata is a huge portion of the tracking, and so it is extraordinarily important to mandate that whoever is utilizing FCServer for indexing of these files spend a few extra minutes entering the data – otherwise the benefits of FCServer are lost. FCServer has an infrastructure, which allows for 3rd party applications to tie into FCServer, as well as allow for administrators to script the metadata fields. I’ll discuss the more later, but this is where the integration and consulting make FCServer really show it’s teeth. Directory access for facilities already utilizing an XSAN or other user based management systems can also tie into FCServer. This means the need for creating users from scratch is eliminated. Your existing network permission translates to FCServer for easier integration and adoption. Support and functionality for 3rd party “hooks” are also present. Telestream’s Episode Family allows for Compressor plug-in can be used; a Compressor droplet containing commands to outsource the Compressor submitted encode to Episode, yet still track and handle the file handoff and writing. FCServer queries Compressor to encode, who uses an Episode product for an increased feature set for encodes. Ruby on Rails, an open source web framework, allows FCServer to pass it’s metadata and functionality to a web portal, allowing even more users to have access to the FCP project or any of your other files. Best of all? The interface looks the same on a Mac and on a PC. And the lightweight application can be installed from any computer on the web in under 3 minutes. So, how does this all work? It’s not a scroll wheel, unfortunately. A $999 piece of software will require many, many hours and thousands of dollars to integrate properly. There is no wizard; there is no easy set-up. This is a completely customizable product that has thousands of features out of the box, but cannot implement them without professional intervention. As of this writing, FCServer is still in version 1.1.1. Big things are coming. Apple was able to gleam loads of functionality from Proximity’s Artbox product, but it remains a product best suited for professionals. In fact, most of the people best suited to deploy your FCServer implementation have been with the product since it’s former life as Artbox. I’ve implemented several custom workflows, and here are several popular workflow ideas (I can’t do everything for you) to help in brainstorming about how FCServer can help your facility. 1. FCServer for auto logging dailies during ingest, and publishing them for review and approval. FCServer monitoring a FCPro Capture Scratch Folder, once files are captured, they are auto indexed by FCServer, low res proxies are created, and given a “review” metadata tag, which then triggers an email notification for selected people to view the dailies and comment on them. Maybe Ruby on Rails (hint, hint) could be utilized to publish these to a web server with a simplified GUI interface, eliminating the FCServer interface and advanced functionality for producers…. 2. Review and Approval process for fine, rough, and final cuts. FCServer monitors a watch folder, which is only for QT Refs exported out of your NLE. Provided FCServer can see the same volumes your NLE can see, the QT Ref (which took seconds to output) could then be encoded by FCServer to various formats, including web based, and then pushed out for review and approval, with email notifications. Yes, I speak of Avid. Although the several week old v3.5 allows for AMA Volumes, older systems and as yet unsupported file formats need to have media files flipped to MXF wrapped media. Having a watch folder monitor for external drives, and then transcode that media into MXF format, without tying up the Edit Bay. The Editor an/or the Assistant Editor then gets an email saying the clips are ready for Fast Import, thereby eliminating costly time wasted in an expensive bay…have I mentioned they would also be in FCServer for playback and approval? Roll out FCServer in Phases. Add features in an ongoing basis. Too many features, too soon is not only a deterrent for successful user adoption, but also a pain to troubleshoot. On the first go around, do not tie in your facilities Open Directory. That can be a nightmare in and of itself. Start with local users, and then implement your facility directory. Speaking of, most deployments go well when rolled out as a proof of concept on a small scale – then go company wide on a project once the kinks are worked out. Use a dedicated machine, like an XServe, to run FCServer and store it’s databases. Multitasking the machine – especially when encoding is happening in the background – will slow down the system. Compressor nodes are never a bad idea. Even virtual clustering shows remarkable speed performance enhancements. Have FCserver use these. Admins: be frugal with permissions. Uber easy to uber mess things up. When users are adding materials to FCServer, do not be afraid about making fields mandatory for these users. This is one of the most important tips I can give. 30 seconds on the front end to allow better indexing (that cannot be ignored in interests of immediacy) and organization can save you hours later. Learn to love Edit In Place. This feature allows non-local drives to be used as local drives (i.e. non removable). This prevents FCServer from copying media locally before working with the media. This saves time and disk space. When using Edit in Place, or even watch folders, FCServer MUST have R/W ability to the drive. Although polling a watch folder for media technically doesn’t need Write ability – FCServer does. This would be a problem when dealing with Volume locking SAN solutions, i.e. Facilis…at least until Q3 2009. SMB shares are a good alternative. It’s java based, and sometimes finicky. Hit the “Search” button at the top right if it appears nothing has been refreshed in the main window to cause a window refresh. Stop and Start FCServer in your system preferences when things go wrong. Like rebooting the computer, this can fix many ills. This product is 1.1.1. There is going to be some issues. But at this price point and with the ability the product has to be a huge benefit to any facility, I expect it to take off in the next year. Good update.. Needed it from long time. Thanks a lot.